Trus is not always easy. Like many, you may take responsiblity for your personal needs, your family's needs, and financial obligations. You take ownership of your priorities, pride in handling things yourself, and refuse to entrust them to anyone else. Why? Because people have let you down, and you think it's good to be independent. But nobody can manage the responsibilities of life alone. Thankfully, there is a loving, trustworthy God who wants you to lean on Him. 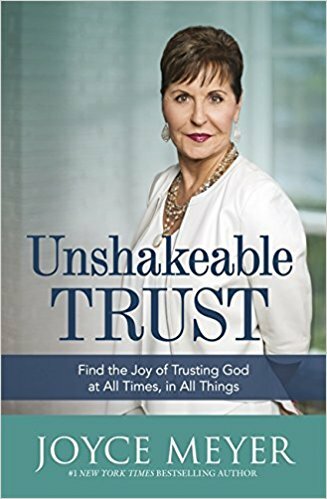 It's time to embrace the one thing that can change your life - UNSHAKEABLE TRUST in God. In her new book, New York Times bestselling author Joyce Meyer explores a life lived in complete and total dependence on God. Drawing on her own experiences and inspiration from the Word of God, Joyce makes the case that in every area of your life - spiritually, relationally, emotionally, financially - you can trust that God has your very best in store.